Brazilian citizens are now faced with a scheme, called Pedra de Ferro (literally “the iron stone”), to extract millions of tonnes of ire ore from a mine in the northern state of Bahia and send it by road, then rail, to an Atlantic coastal export terminal. On the surface, there’s little new in this. Brazilian Vale, the world’s largest iron ore producer, has been doing much the same thing for decades, confronting large-scale opposition from indigenous communities, social activists and environmental groups, as a result. But this particular project is exceptional for several reasons. First, it has been proposed by a Kazakhstan company, ENRC which was listed on the London Stock Exchange until 2013, when it was forced to re-locate to its home country. ENRC’s activities around the world – particularly in Africa – are currently (though belatedly) subject to investigations being carried out by government authorities in the UK and USA. It is alleged that it has engaged in significant fraudulent and corrupt practices. Second, the mine itself has begun operating on land which was seized from local farmers without adequate or legally endorsed consultation, and in violation of many environmental, health, and safety regulations. Third, among ENRC’s plans to export the mine’s production, is the siting of a new port on a pristine, ecologically sensitive coastline, and whose construction will endanger the livelihoods of fisher folk, farmers, and tourism providers. However, the Pedra de Ferro proposal has failed to provoke more than minimal criticism, either in Brazil or outside, despite its international dimensions. For example, in July 2012, the UK Ministry of Trade hosted a “Pedra de Ferro Project Trade Fair” at Loughborough in the English Midlands, in an attempt to solicit commitment to all aspects of the scheme from British companies. The event attracted some 150 participants. The following work is intended to stimulate much-needed debate as to whether this project should be allowed to stand or fall. Each chapter will be presented over the coming weeks in Portuguese and English. This first chapter examines the highly questionable corporate behaviour displayed by ENRC until it de-listed from London. This chapter traces key events influencing the fortunes of ENRC, specifically as they impacted on its attempts to kick-start the BAMIN Pedra de Ferro iron ore project from 2010 until the present. For a period following the company’s ejection from the London Stock Exchange in 2013, ENRC’s future seemed in doubt – as did Pedra de Ferro itself. Since then, however, Brazilian authorities appear to have bowed down to ENRC’s wishes. They have issued a number of permits to the company, including ones for rail and road transport which include the use of a new Atlantic port at the pristine site of Porto Sul in Bahia state. Criticisms of this port project by local environmentalists, social activists, farmers and fisher folk, have been fierce, but have so far gone unheeded. And at least one question remains unanswered: if there is, indeed, at least one alternative export route for BAMIN’s output, what legitimate reason can there be for building such a controversial port? Kazakhstan and London Stock Exchange-listed mining company, Eurasian Natural Resources Corporation (ENRC), gains full control of the BAMIN iron ore project in Caetite, Bahia, Brazil, after paying fellow London-listed Zamin Resources US $670 million to acquire its 50% share in the project. An update to the project bankable feasibility study was completed in July 2010, and the project was expected to start production with an estimated 11.0 million tpy of concentrate (dry weight) in 2013. At the same time, ENRC obtains an option to acquire the Greystone project, close to Caetite from Zamin Ferrous, for US $150 million. [Steel First 21 September 2010]. Steel do Brasil (controlled by Germany’s Metropolis Capital) also announced that it would give up plans to raise 1.3 billion reais (US$772 million) in capital to launch two other Brazilian iron ore mining companies, after ENRC said it would acquire them – namely 100% of Mineração Minas Bahia (Miba) and 51% of Mineração Peixe Bravo (MPB). Steel do Brasil would be paid up to US$54 million, since the Kazakh company “has agreed to allow [Miba and MPB] sellers to negotiate an independent agreement with ENRC”, according to ENRC. Miba owns the mineral rights to the Jibóia iron ore project in Bahia, which “may be able” to produce around 25 million tpy of iron ore concentrates at an estimated cost of $2.6 billion. ENRC “forges ahead “with the BAMIN iron project, according to Dow Jones news wires, despite what it calls “logistical and environmental hurdles”. Dow Jones also says that the “Brazil mining community [is] speculat[ing] on takeover offers for ENRC”. The federal government environment agency (IBAMA) had already blocked the initial port project at Porto Sul, saying it would damage the coral reef, and “it’s unclear if the new site, some 5 kilometres further south, will be approved….In the meantime, the government is still at an initial stage on construction of the 3 billion Brazilian reais ($1.9 billion) rail link”. [Dow Jones Newswires ibid]. Despite this, “Bamin expects that all the necessary environmental permits to start the terminal’s construction will be granted by late-2013” [Dow Jones Newswires ibid]. 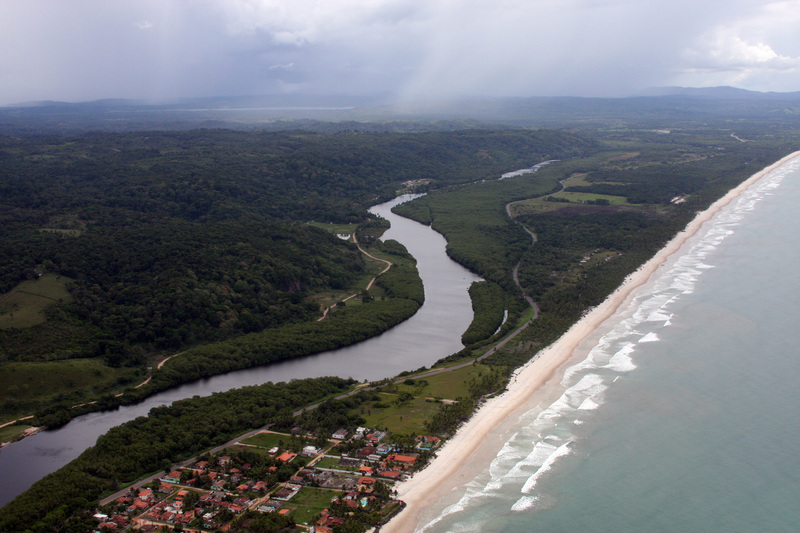 Brazil’s environmental authority IBAMA issues a preliminary licence for the construction of port facilities at Porto Sul, “including the private terminal to be built by Bamin”. But ENRC announces it would “indefinitely defer” its iron ore projects in Brazil, due to “uncertain economic conditions”. By this point, ENRC has begun to founder. It is forced to de-list from the London Stock Exchange, “having delivered investors some of the worst returns of any leading UK company during six turbulent years….after boardroom disputes and an investigation by the Serious Fraud Office” [The Independent 21 March 2013]. This investigation is into “allegations of fraud, bribery and corruption relating to the activities of the company or its subsidiaries in Kazakhstan and Africa” – though it didn’t necessarily exclude examination of ENRC’s business affairs in Brazil. Four months later, the US Justice department joined the investigation [100 Reporters, 27 November 2013]. The decision to allow ENRC to quit London is also criticised by Global Witness, the British non-profit organization that campaigns against corruption, particularly in the natural resource sector. It argues that the company’s de-listing may “hamper the investigation into one of the City’s biggest scandals” [Global Witness statement, cited by 100 Reporters, 21 November 2013]. In response, ENRC emails a counter-statement claiming there was “zero substance or evidence” to the “false claims, innuendo and persecutory propaganda” of Global Witness, adding that “ENRC has fully engaged with all authorities on resolving questions and has exercised a zero tolerance policy on corruption.” [100 Reporters, ibid]. Steel First confirms that “These were serious setbacks for ENRC, combined with the threat that the UK Serious Fraud Office might throw up further evidence of the company’s misbehaviour, leading to an even worse fall in its reputation [Steel First, 21 March 2013]. Therefore, it is not surprising that ENRC announces it is “reassessing” the Pedra de Ferro project, after performing a review of it. This review identifies key obstacles to proceeding with the project, citing “iron ore market dynamics, macroeconomic challenges and the protracted port installation licence award process” as key factors [ENRC results 2012, released on 20 March 2013]. Among the options ENRC says it is now considering is a “different phasing of the project, including a scenario with an early revenue direct shipping ore (DSO) phase over the next three years, utilizing the existing railway and port infrastructure”. Although not named at the time, this “existing infrastructure” would seem to consist of trucking iron by company vehicles from the Caeitite mine to Licínio de Almeida and then, courtesy of Valec, to an export from a port in the southern Brazilian state of Espirito Santo. ENRC also says it is “reviewing funding options for the Bamin project, including but not limited to project finance and strategic partnerships” [Steel First, op cit]. May/June 2013 – BAMIN back on track? However, shortly afterwards, ENRC’s fortunes in Brazil take an upward turn, when the federal mining ministry issues a licence for the Pedra de Ferro project, marking the end of the country’s moratorium on the issuing of mining permit. The following month, the state of Bahia signs the concession agreement for BAMIN’s port terminal at Porto Sul, confirming that its 495 hectare area will be used for processing, storage and shipment of iron ore coming from the Caetite mine [Steel First, ibid]. Bamin is said to be “the first company to benefit from the country’s port reform law”, known as MP dos Portos and recently sanctioned by President Dilma Rousseff. Changes introduced by the law include allowing private ports to handle any type of freight, permitting private operators to handle more third party cargo, extending pre-1993 public port terminal contracts by 10 years and permitting the launch of tenders for these pre-1993 contracts. Bamin expects that all the necessary environmental permits to start Porto Sul’s construction will be granted by late 2013, and says it aims to transport 25Mt/y of iron ore through the port [Steel First, ibid] – five million tonnes more than the figure mentioned earlier. As BAMIN continues struggling to make Porto Sul a reality, Brazil’s environmental institute (INEMA) grants it a licence for the use of Vale’s Ferrovia Centro-Atlântica (FCA) railway to facilitate the export of iron ore from the Caetite mine. “Ore would be transported from the city of Caetité via highway to a terminal at the city of Licínio de Almeida, where it would be loaded onto FCA’s trains…[It] would then be exported through the port of Tubarão, in the country’s south-eastern Espírito Santo state.” [Steel First, 8 October 2013]. It notes that “The miner did not respond to queries from Steel First on Monday October 7 about whether its plans of using the West-East railway and building a captive terminal remain, now that it has been granted the FCA railway licence [Steel First ibid]. January/May/June 2014 – back to Porto Sul? By early 2014, however, BAMIN’s attempts to gain access to export markets via Porto Sul make a marked advance, with the state government of Bahia conducting a “public consultation” – although this is primarily for investors – on an “adhesion agreement” for the construction, operation and exploitation of the port. A Private Shareholder would be selected which, along with the state of Bahia or a selected state public entity, would set up a Specific Purpose Company (SPC) to operate the port. “Although the specific stock participation percentage has not been defined yet, the state government shall be the minority shareholder and the draft bid rules prohibit any and all initiatives aiming at privatizing the SPE. Not long afterwards, Valec is making further progress with its much-delayed Oeste-Leste rail project, when it authorises the purchase of 147,056 tonnes of rail for the 1,022 km stretch of track between the cities of Ilhéus and Barreiras in Bahia state. The first cargoes of these rails land at Ilhéus in August this year. In June 2014, BAMIN is granted a three-year operational licence to produce up to one million tpy from the Pedra de Ferro iron ore project, allowing BAMIN to transport the ore, using Vale’s Ferrovia Centro-Atlântica (FCA) railway, “until the completion of Tubarão port in the country’s south-eastern Espírito Santo state” [Steel First ibid]. For all LMN articles on the Porto Sul project, see http://londonminingnetwork.org/?s=Porto+Sul. For more information, contact Acao Ilheus at ismailabede@ig.com.br.